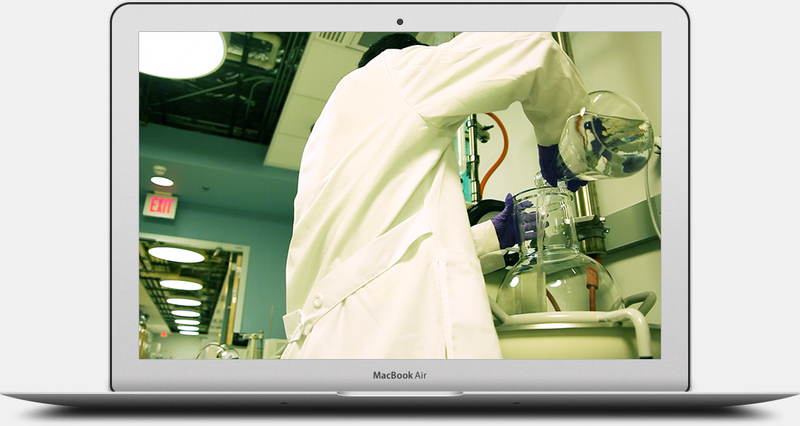 Video is the most powerful way to train the next generation of scientists. Start saving time and increasing your impact today. Reference your video in manuscripts, grants, CVs, and patents. And that's just the beginning. Your performance as a scientist is no longer measured only by the papers you published. Next-generation impact factors look at the full measure of your contributions around the web. We issue DOI numbers to BenchFly videos, putting you in control of your impact. This helps to increase exposure gained through global distribution of your videos, but also lets you reference your videos in a variety of publications, ensuring you get the recognition you deserve for all of your hard work. The lab is a dynamic environment with undergrads, graduate students, and postdocs coming and going all the time. We love helping our labmates, of course, but repeating the same assay protocol, tip, technique, or experiment takes time away from even the most benevolent scientist's project. It sure would be nice to say "Watch these videos first, then we can talk." Starting a new lab is a daunting task, to say the least. With so many details to get right just to get up and running, BenchFly fills a very, very important need - providing a way to document protocols and the setup of new equipment on the (Bench)fly. I will be forever grateful to BenchFly and know they will continue to play an important role in the lab as it grows. BenchFly has enabled us to develop a more consistent training model and thus reduce confusion. What's best is that the video training can be lab- and instrument-specific, so a phrase like "jiggle this thing if it gets stuck," can actually mean something. BenchFly has become a permanent lab tech in my group. Get the recognition you deserve by citing your videos in publications, CVs, and grants using the videos' associated DOI number. Try setting up your desktop computer in the hood next time you need to watch or record a video. Better yet, don't. Just take an iPad. BenchFly videos have been viewed in over 215 countries. No doubt that covers the key players in your field.